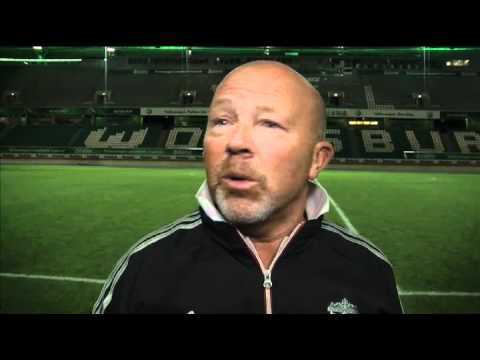 Frank McParland believes the NextGen Series provides a great stepping stone. Liverpool’s Academy Director Frank McParland has emphasised the positives of his side’s participation in the NextGen Series as Liverpool prepare for their opening game tonight. Reigning champions Inter Milan stand in their way as they bid to get off to a winning start in a group that also includes Norwegian side Rosenborg and Germans Borussia Dortmund. Players such as Raheem Sterling were amongst the squad that finished third in last year’s tournament and have made the step-up to the first team since. “Our primary objective is to get players through into the first team so it’s brilliant that so many of the lads will be part of the Europa League squad,” McParland told the Liverpool Echo. “I guess we’re victims of our own success in many ways. The NextGen has been brilliant in helping to bridge that gap between youth and senior football. It’s been massive for their development. “The likes of Conor [Coady], Andre [Wisdom], Suso and Adam [Morgan] benefited a lot from playing for us in it last season. That experience of European away trips with the travel and all the preparation will stand them in good stead this week. “As well as missing those lads, obviously we’re also without Raheem Sterling, Jon Flanagan and Jack Robinson, who have already made the step up. “Raheem is actually eligible to play in the NextGen for the next two seasons but he’s done so well he’s a first-team regular now.” He said. We were the first to sign up for it last year because we could see the benefits. It pits the best against the best. They play against players from different cultures and are up against different systems and formations. “It has really gone from strength to strength with more clubs entering. We’ve got a really tough group and Milan have got a very good side but we’re looking forward to seeing how our youngsters compete. In the video below, Kenny Dalglish talks about his side’s involvement in the NextGen Series.